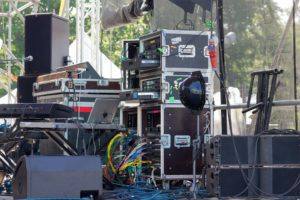 We all know that in order to produce a flawless event, an array of moving parts must come together. 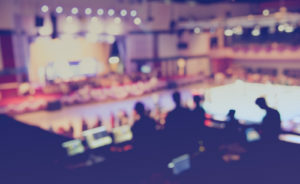 However, while everyone is doing their part in creating unique event experiences, we can sometimes forget about the critical role that our labor agencies and vendors play in our overall success. 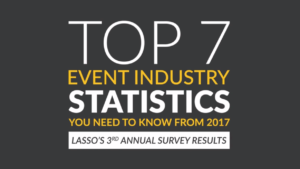 In order to spotlight the importance of the relationship between event companies and their vendors, we recently sent out a survey whose results further highlight the importance of this relationship. Here are the results. In what markets are labor agencies utilized to fill positions? It appears that those companies that hire labor agencies do so in most of the major markets throughout the country. It is no surprise that LA (42%) is the top market given it is the entertainment capital of the world. Dallas (39%) and Orlando (38%) come in right behind that. 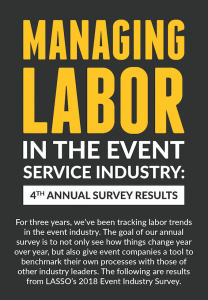 Although Austin, Houston, and Salt Lake City are three cities with the least activity, 25% of respondents are working with labor agencies there. That being said, all of the major markets are being leveraged throughout the US as needed. What are the most important criteria when hiring a labor agency? 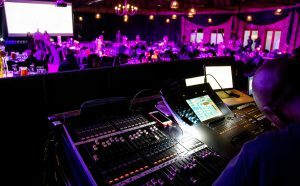 By far, event production companies weigh the quality of the crew supplied as the most important factor when hiring a labor agency. 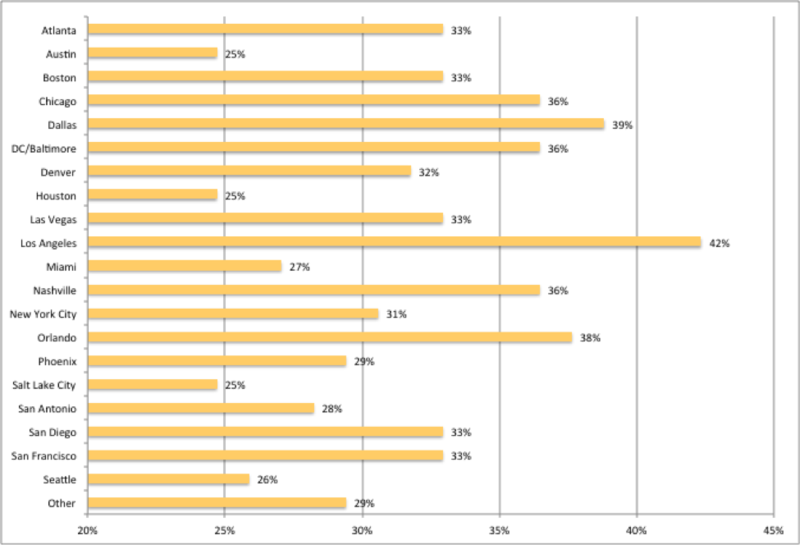 62% of respondents prioritized this as their #1 criteria. 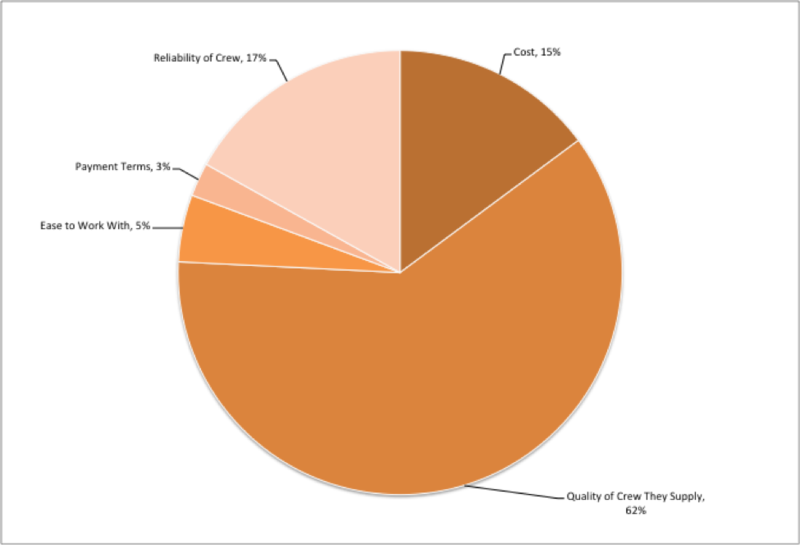 Also important, is the reliability of the crew provided which received 17% of the response. 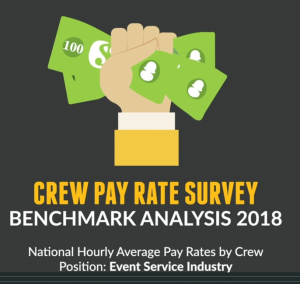 The next criteria are cost at 15%, ease to work with at 5%, and finally, payment terms at 3%. 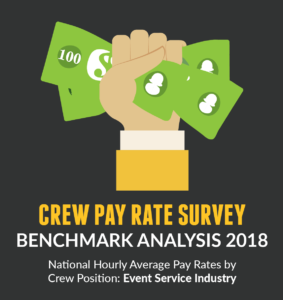 As we continue to find in this industry, cost is simply not as important to event companies as is the quality and qualifications of the crew working on each event. In an industry where the push of a button can literally make or break a business, it continues to be mission critical that every project is crewed with the very best people – both internally and when labor agencies are utilized. 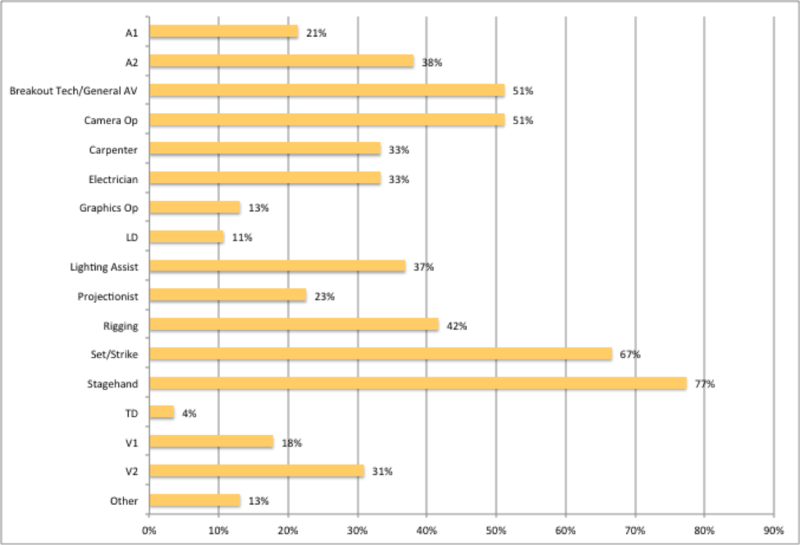 What are the most common positions outsourced to labor agencies? 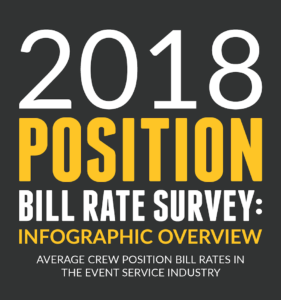 According to the survey results, the Stagehand position is by far the most common role that is outsourced by companies to labor agencies receiving 77% of the response. Set/strike labor comes in second at 67%. 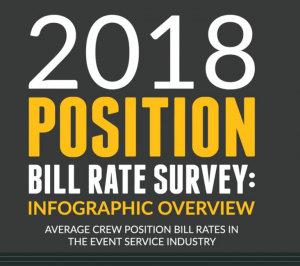 What is not surprising is the more deeply specialized roles such as the Technical Director (4%), Lighting Designer (11%), and Graphics Operator (13%) are outsourced the least to labor agencies. Often, this is because companies choose to travel their lead positions while picking up local labor for the less technical roles. Labor agencies can often supply crew quickly, which is important when an immediate need arises, especially if it was unforeseen. 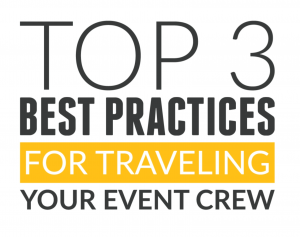 Labor agencies typically have a database of registered crew and can arrange to send qualified candidates to an event on short notice. Many companies also use labor agencies when looking to fill in the gap while they are searching for their own people with the same skill set. Here are the results for all of the positions typically outsourced to labor agencies. 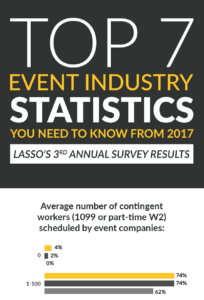 These survey results allow us to begin identifying trends in the industry when it comes to the ever-important relationship between event companies and their labor agencies. Request a live demo now to learn more about how LASSO helps you simplify your workflow when working with your labor agencies and vendors.